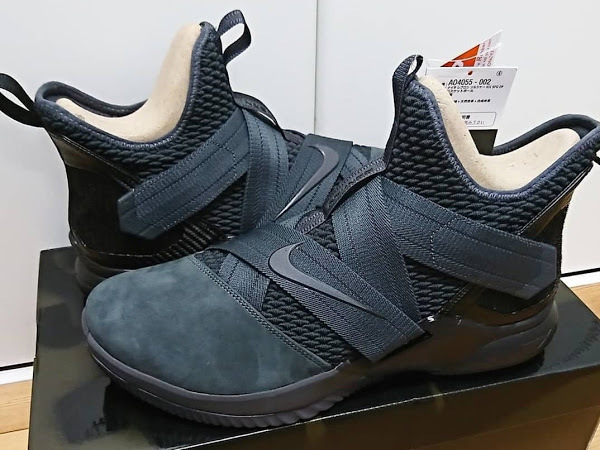 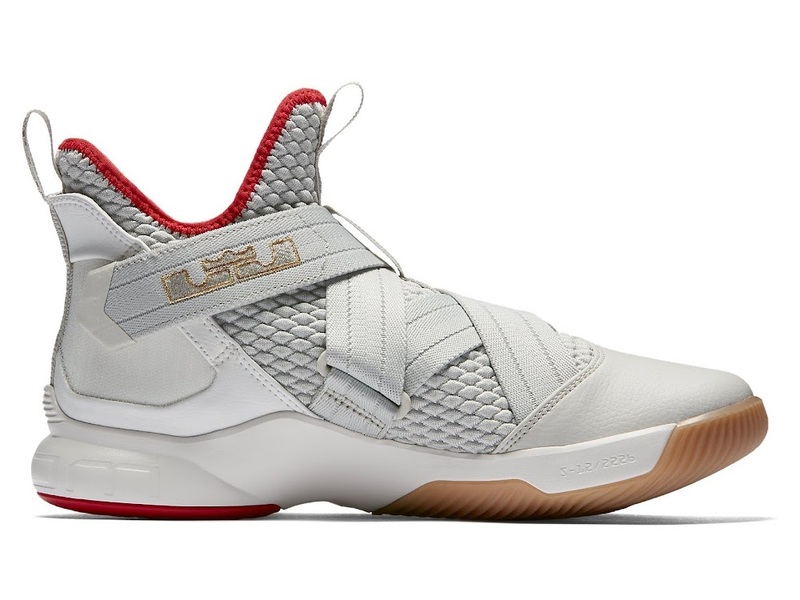 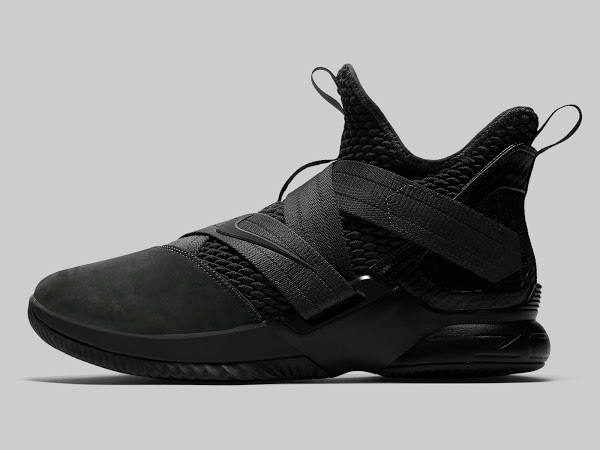 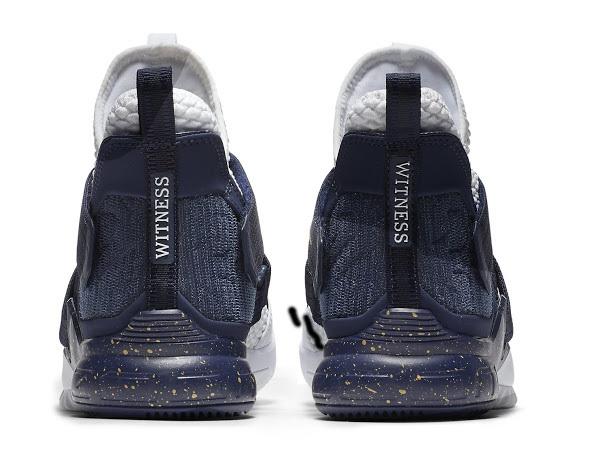 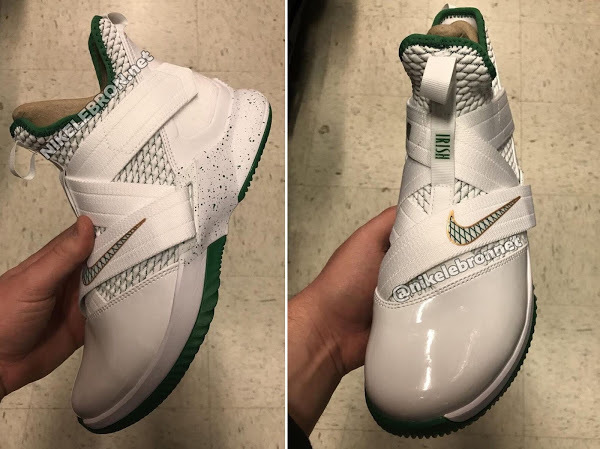 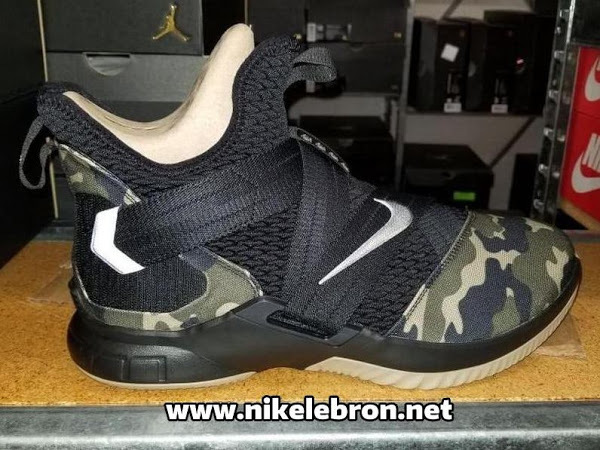 Even though the Nike Soldier line is motivated to offer the best performance for playing basketball every now and then Nike tries to add more style in order to make them more appealing for casual wear. 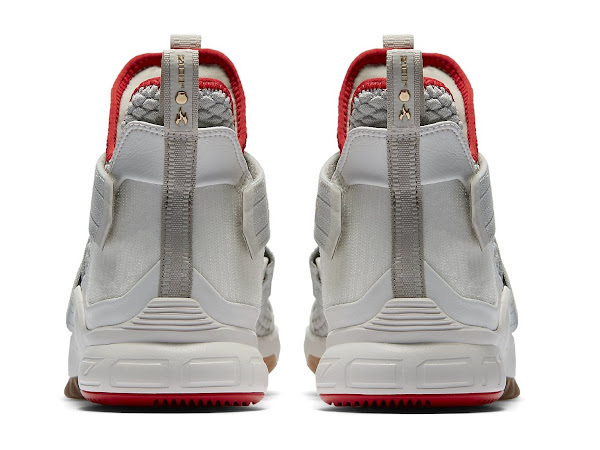 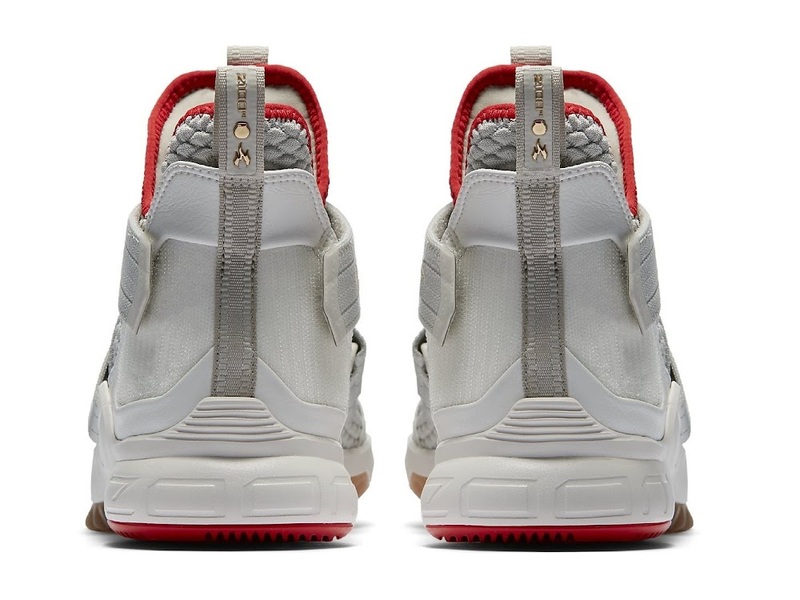 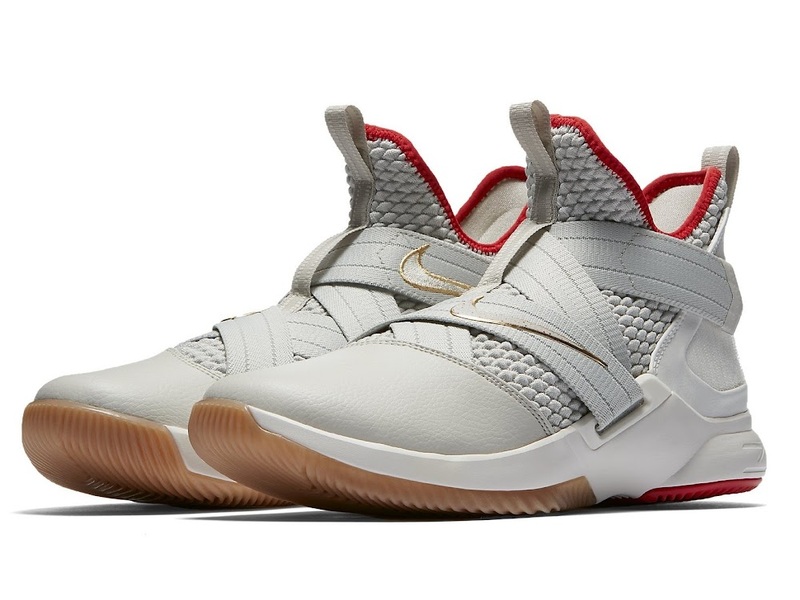 For one of the upcoming colorways Nike used neutral grey tones and contrasting Red and Gold details. The concept is slightly reminiscent of the “Platinum” Air Yeezy 2. 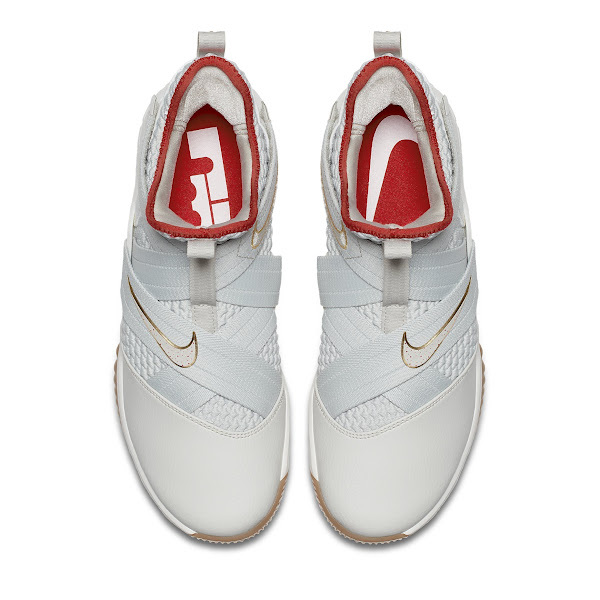 Personally, I find the heel part very interesting with a mysterious 2100 degree gold branding. 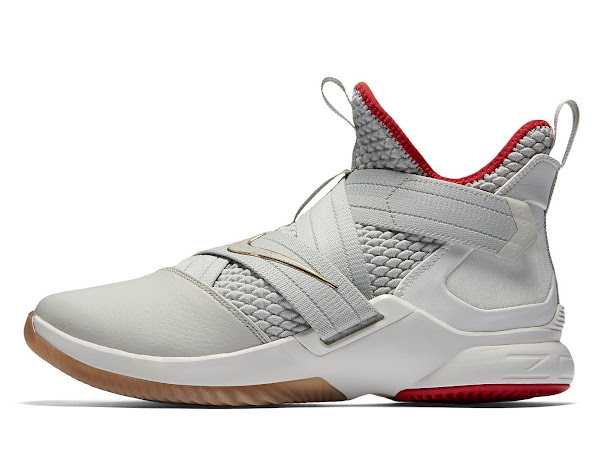 Look for this special LeBron Soldier 12 to drop at Nike Basketball retailers in the upcoming weeks. 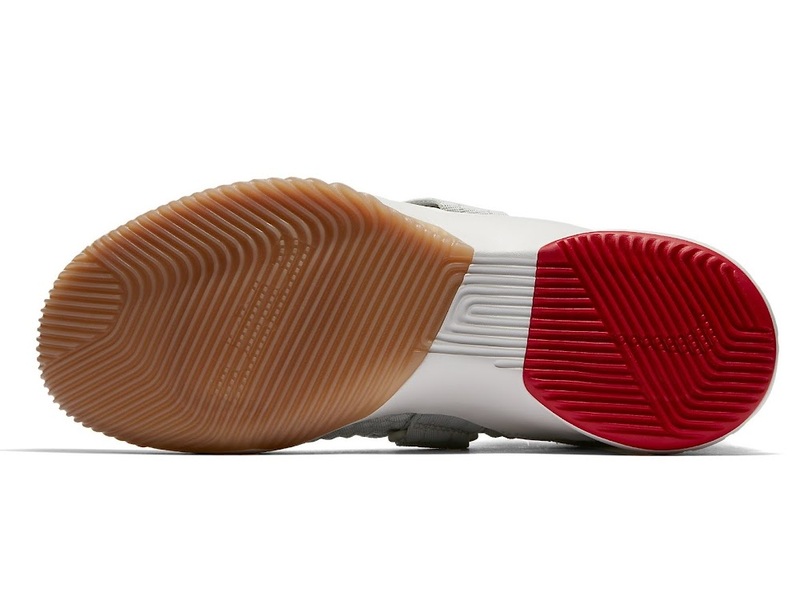 There’s no exact release date at the moment. It will be posted on the launch list once available.